How does magnesium affect athletes? Athletes especially need to be aware of their magnesium intake because the mineral works to build endurance by increasing the body’s oxygen requirements. Anyone who participates in sports that have certain weight and body requirements—such as wrestling, ballet, gymnastics, and any other activity that encourages calorie restriction—are at a higher risk for consuming an inadequate amount of dietary magnesium. With a personal InsideTracker account, you can check your biomarkers and make sure you’re getting enough magnesium to perform at your peak! Click here to learn how InsideTracker can recommend magnesium-rich foods based on the results of your unique blood test! Getting an adequate amount of magnesium can contribute to an improved athletic performance and oxygen consumption. If you’re interested in improving your athletic performance, it’s important to know that prolonged endurance exercise will result in a decrease of magnesium levels. An increase in perspiration and urination during strenuous exercise can contribute to magnesium loss. Following a period of rest, your magnesium levels will return to where they were before exercise, so make sure you’re spacing out your workouts to avoid fatigue and magnesium loss. How much magnesium should I be getting, and what foods contain it? Having enough magnesium in your body has been shown to have a protective effect against cardiovascular disease and poor immune function. To maintain heart health, active men should aim to consume between 350-420 mg of magnesium per day, while active women should eat between 280-320 mg per day. Individuals with low serum magnesium levels are at a greater risk for poor heart health than their peers with a healthy blood levels of magnesium. You can get magnesium from many types of foods, especially from leafy green vegetables. Other good sources of magnesium include: whole grain cereals, soybeans, nuts and seafood. For even more food suggestions that will help you to optimize your magnesium levels, explore your InsideTracker Nutrition and Food Menu pages. If your magnesium level is still low, supplementation might be beneficial; consult your health care practitioner if you think a supplement might help you. How can I increase my absorption of magnesium? Magnesium absorption is primarily affected by the quality of your diet. Fruits, vegetables, nuts, and grains contain phytate, which can inhibit the body’s absorption of magnesium. Avoid combining foods that are high in fiber with foods that are good sources of magnesium. Women who consume less than 30 grams of protein per day, African Americans, and older individuals (who generally tend to excrete more magnesium through urination) are at a greater risk of having difficulties absorbing magnesium. If you fall into one of these groups, you might want to consider taking a supplement. Is a magnesium supplement the right choice for me? Magnesium supplements may be helpful if a specific health problem limits absorption or promotes excessive magnesium loss. Certain diuretics, antibiotics, and medicines used to treat cancer may cause magnesium malabsorption, so talk to your doctor if you think your medications might cause magnesium deficiency. 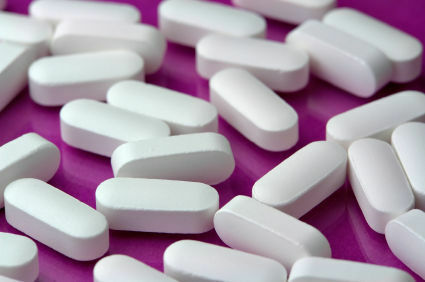 Studies have shown that taking a magnesium supplement can improve your sleep and exercise tolerance. Taking 320mg of magnesium a day might promote a higher quality of sleep if you’ve been having insomnia. Other research has shown that people who took a magnesium supplement were able to improve their anaerobic activity and muscle strength. How can I tell if my magnesium levels are low? Your bloodwork results from InsideTracker will let you know if your magnesium is below your optimal levels! Although it’s fairly common for people not to get enough magnesium in their diet, a true deficiency is much less common. Certain medical conditions exacerbate magnesium absorption, such as diarrhea or vomiting, diabetes, kidney disease, and hyperthyroidism. Drinking too many caffeinated or alcoholic beverages may also lower your body’s levels of magnesium. Symptoms of a magnesium deficiency include muscle weakness, muscle cramps, nausea, irritability, abnormal eye movements, convulsions, fatigue, or numbness. The good news is that because magnesium is found in so many different types of foods, it’s pretty easy to reach your recommended daily allowance (RDA). If you consume a sufficient amount of calories and eat plenty of whole foods, you will be well on your way to performing at your best!